Ireland isn’t nicknamed the Emerald Isle for nothing. This vibrant green country is known for its undulating hills, giant peaks, and dramatic coastline, making it one of the best places in Europe to get outdoors and enjoy nature. I fell in love with the Emerald Isle in May 2015, while researching for my print guidebook A Year in the UK and Ireland. As an avid hiker, I knew I would adore it, but what I didn’t realize was how much of a mark Ireland would leave on me, an impression that I’m sure will last a lifetime. These seven eco attractions are the best things to do in Ireland to get you in touch with its strongest asset– its wild, untamed, and jaw-dropping natural scenery. Home to Carrauntoohil, Ireland’s highest mountain, Killarney National Park in County Kerry is heaven for avid hikers. Alongside this mighty peak are over 100km² of shimmering lakes and verdant hills, through which runs a range of paths suitable for walkers of all abilities. 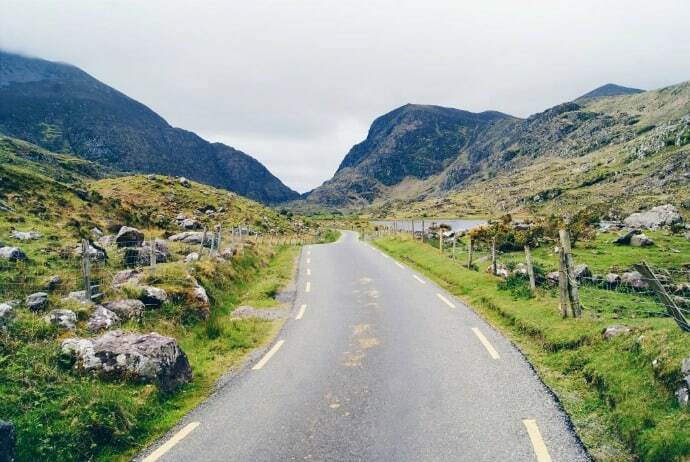 One of the most popular and accessible hiking areas is through the Gap of Dunloe, a breath-taking mountain pass that takes you between two towering hills. The relatively flat path runs alongside a river and past lakes, making it one of the best places to get up close and personal with the raw beauty of Killarney. On the slopes of Torc or Mangerton hills in Killarney National Park you may be able to catch sight of some red deer, a species that has been roaming Irish lands for thousands of years. The population was under threat some 50 years ago, with only 70-100 known individuals, but after careful conservation work and a ban on shooting, officials estimate there are now 850 in the park. 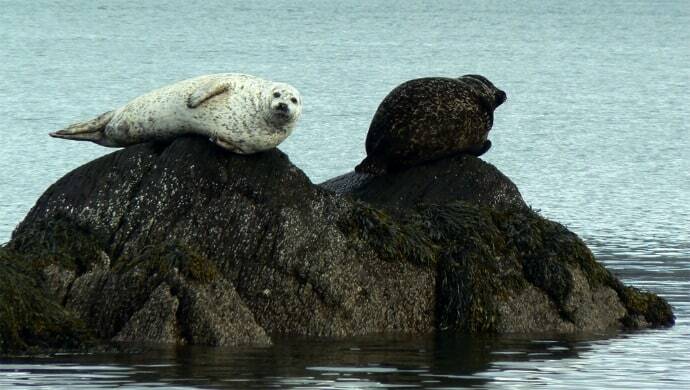 Originally located over in Dingle, but forced to move to Wexford when the centre was damaged by storms, Seal Rescue Ireland carries out valuable work for the population of seals that live off Ireland’s shores. The company’s motto is “Rescue. Rehabilitate, Release.” They work mostly with seal pups that find themselves stranded on the beaches. A team of dedicated volunteers care for the pups until they’re strong enough to be reintroduced to the open ocean. Guests can visit the center to learn more about this essential marine work – entry is donation-based and goes straight to the center to help them carry out their mission. It’s best to call ahead before your arrival, just to check that they have seal pups in their care at the time of your visit. Known as the Garden of Ireland, County Wicklow is a playground for anyone who loves to be outdoors. 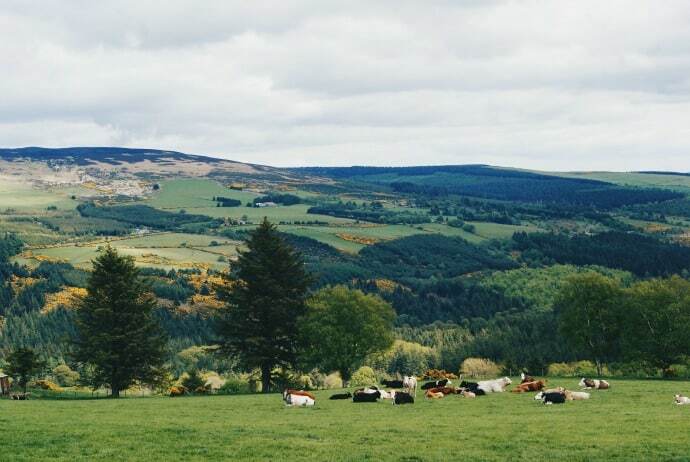 More specifically, Wicklow Mountains National Park is where you’ll find the area’s most dazzling gems, and being under two hours from Dublin its even reachable for a day trip from the capital. Glendalough is one of the most popular spots in Wicklow, due to its beautiful mountains and monastic site, one of the most important in Ireland. Nearby Glenmalure is also worth hiking along as it’s the longest glacial valley in Ireland. Here, a magnificent waterfall sweeps down the hillside. Wicklow is an area of particular interest to birdwatchers, as its home to over 100 bird species. Look out for herons and Peregrine Falcons, or even a Goldcrest, Ireland’s smallest bird, which is known to feed in high branches in Wicklow. The Cliffs of Moher in County Clare are among the most visited attractions in Ireland – and for good reason. 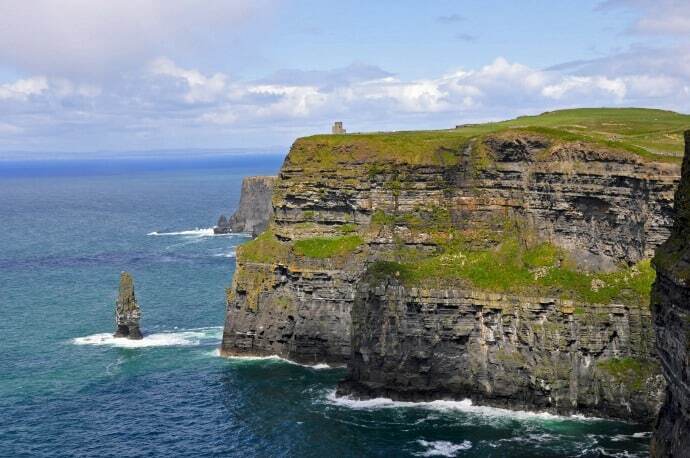 This 5-mile stretch of spectacular cliff scenery towers over 700 feet above the crashing ocean at its highest point, showing off the raw power and beauty of Ireland. It is estimated that the rock that forms the Cliffs of Moher dates back 300 million years, and each layer we can see in the stone today tells the story of a significant event that played a part in creating this magnificent scenery. Wander along the clifftops to see them from all angles, and make your way to O’Brien’s Tower, an excellent lookout point that offers panoramic views of the surrounding countryside and open ocean. The Cliffs of Moher are also along the Wild Atlantic Way, the coastal route that runs all the way from Cork to Donegal – well worth exploring more if you’re on the west coast of Ireland. 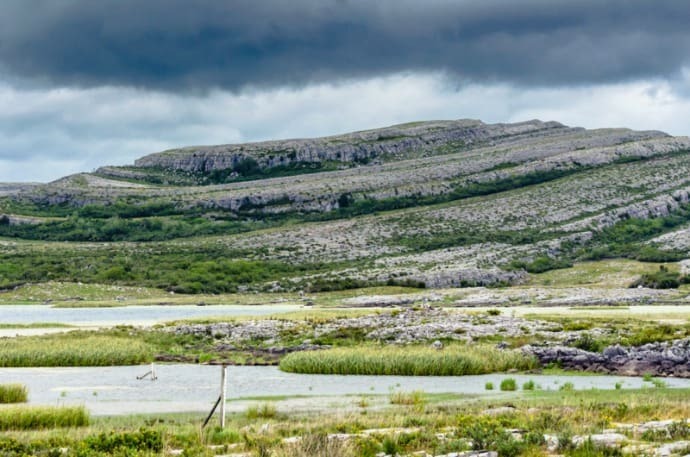 Characterized by its other-worldly limestone scenery, Burren National Park (which is located in northwest Ireland) northwest is one of the most surreal landscapes in the country. Its name comes from the Irish word boíreann, which means “rocky place.” It’s an accurate description for the giant mounds and cracked flats of limestone that spread for miles across the national park. This is a great place for hiking. Walking in the Burren makes you feel like you’re walking on the surface of the moon. The park runs free tours between April and August (make sure to book ahead) which will give you plenty of information about the geology and flora and fauna that grows here. With plenty of well-kept roads, the Burren also makes a nice drive if you’re looking for something a little less active. During the 1990s, Ireland declared all of their territorial waters a whale and dolphin sanctuary, setting their oceans up to become a prime spot for marine tourism in Europe. The coast of West Cork in the country’s south is one of the best places to catch sight of various species, most notably Minke Whales, Fin Whales, Common Dolphins, Harbour Porpoises, and even Humpback Whales. 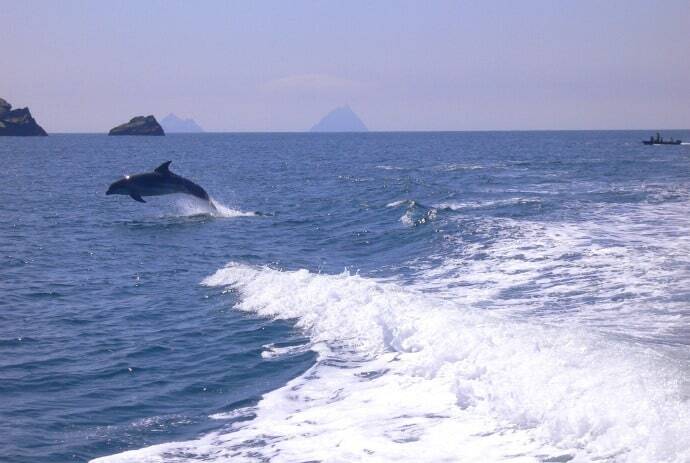 A number of responsible boat companies run whale and dolphin watching tours around the southwest of Ireland. Those really keen to see some marine life should head to Baltimore right in the south of Ireland, a top spot for sightings. Here, it’s possible to not only see whales and dolphins, but also seals and basking sharks (the second largest fish after the whale shark). Located up in Ireland’s northwest corner is Donegal, a county which is known for its immense natural beauty. 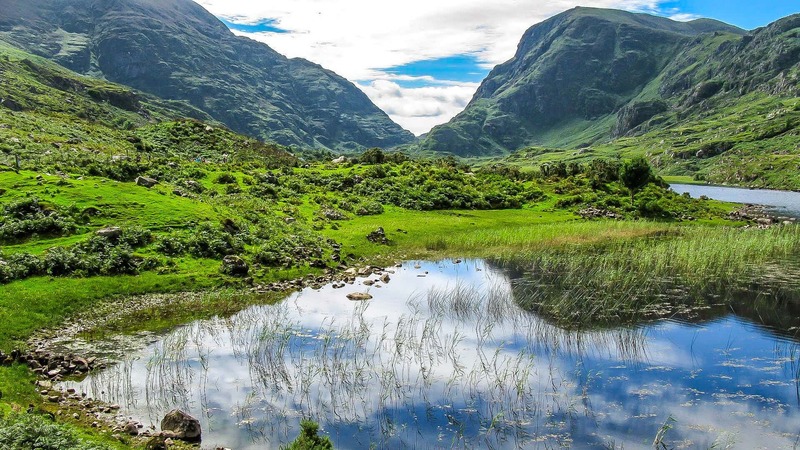 Glenveagh National Park is one of Donegal’s most popular showstoppers– an area bursting with wildlife and beautiful things to see and do. 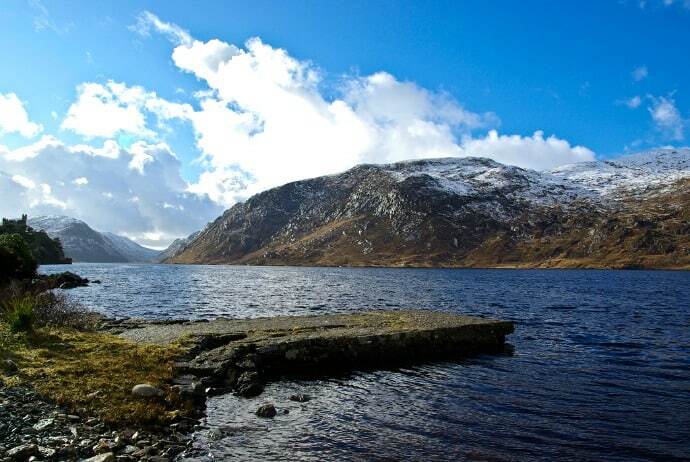 Once a private deer forest, Glenveagh was protected as a national park in 1975, and opened to the public in 1986. Glenveagh is particularly known for its bird life, and you can see species such as Peregrine Falcons and Golden Plovers here. In the last twenty years or so, the park has been working hard to reintroduce Golden Eagles. The project has proven increasingly successful in recent years, and several breeding pairs now nest within the park’s borders. 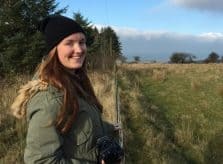 Emma Higgins is a travel writer from the UK with a penchant for the great outdoors, indie magazines, and strong coffee. She’s currently putting together a print long-form journal called A Year in the UK & Ireland, travelling around the two countries picking up stories along the way. Follow her journey on Facebook, Twitter, and Instagram.